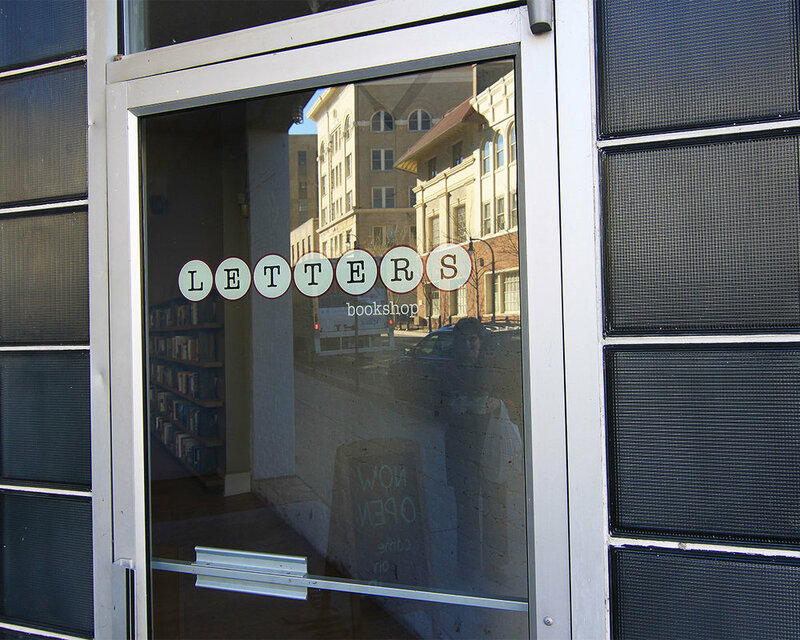 LETTERS BOOKSHOP — TRIPLE AUGHT DESIGN + BUILD. 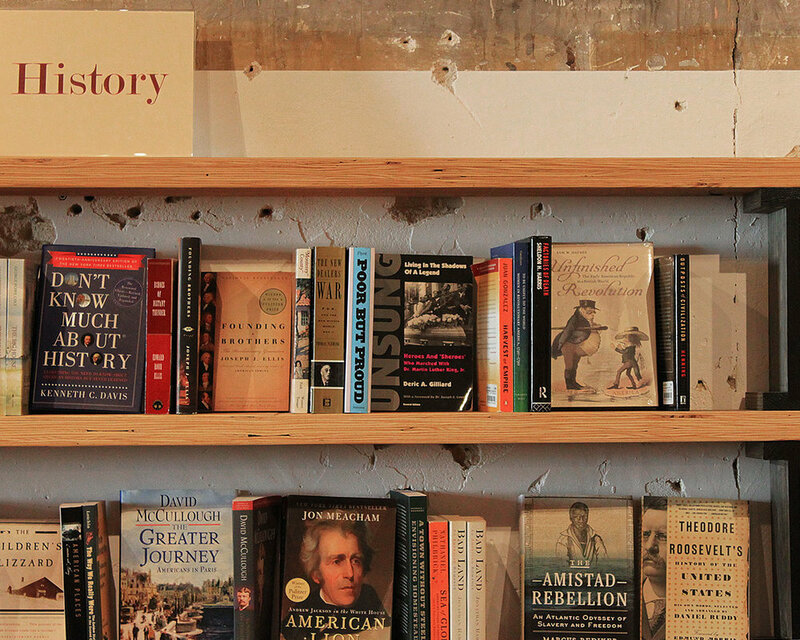 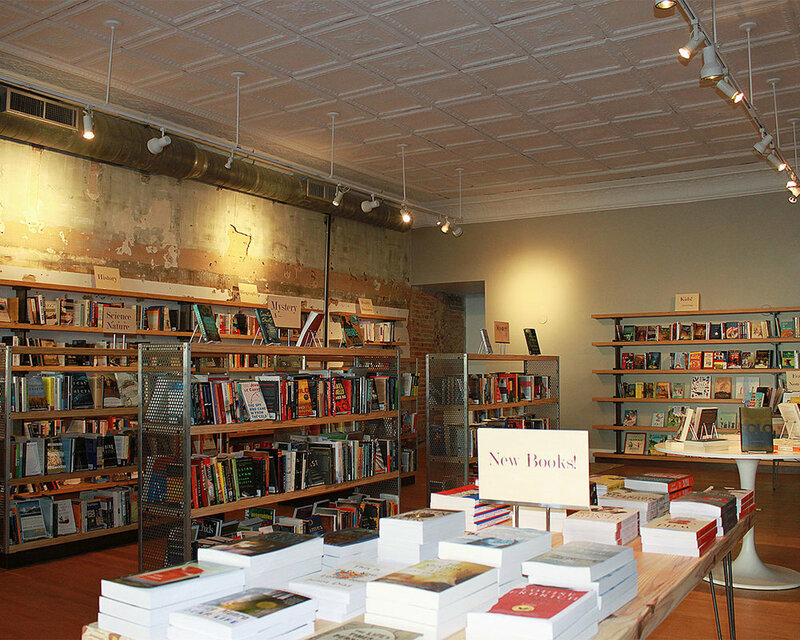 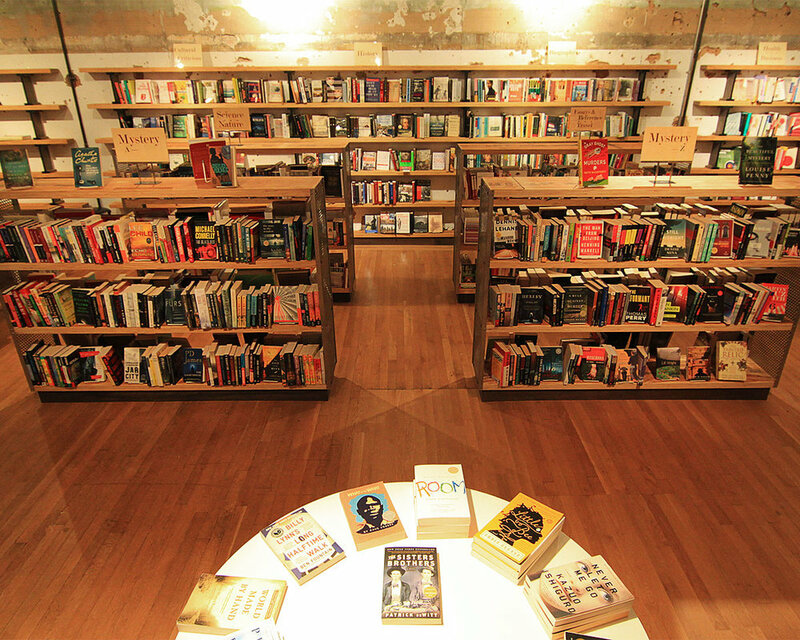 Originally built in the 1890’s, then rebuilt in the 1930’s, 313 West Main Street in Durham, NC is home of Letters Bookshop. 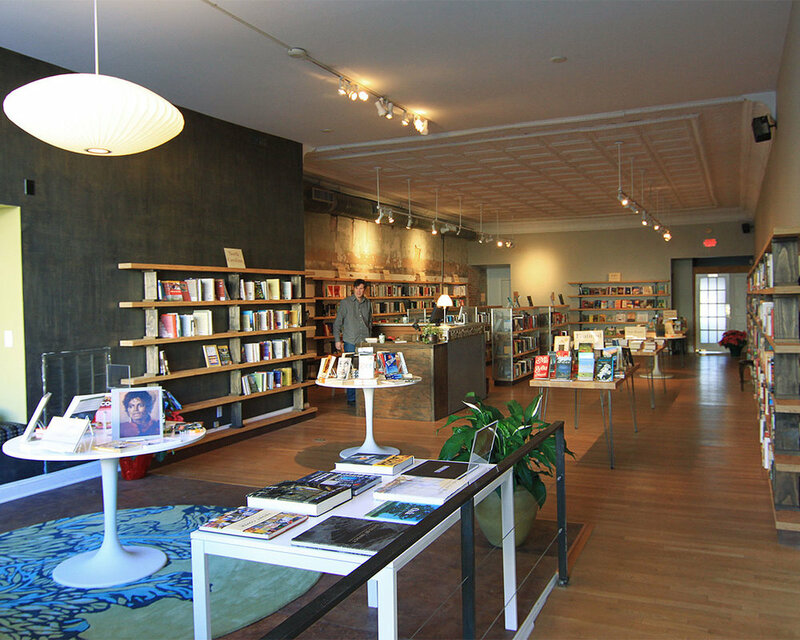 The space has charm, character, and a wide expanse of glass facade that opens up, allowing natural light to cascade inside. 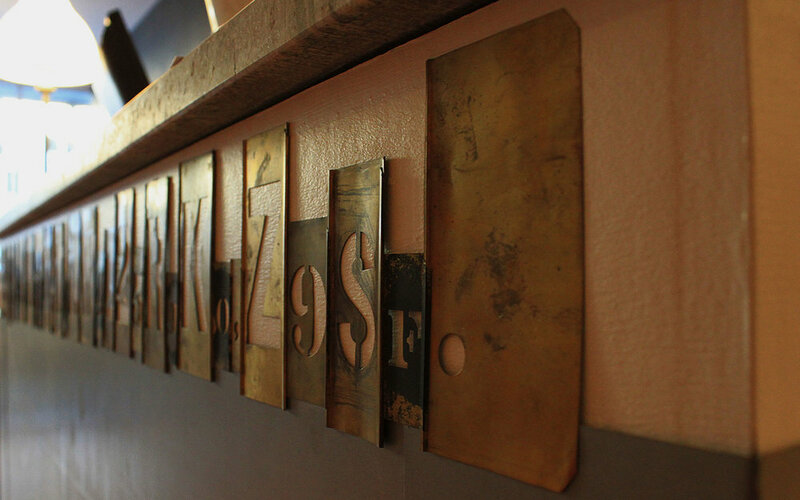 We kept many of the existing elements including the ornate metal tile on the high ceiling, soft and worn hardwood floors, and exposed brick and concrete walls. 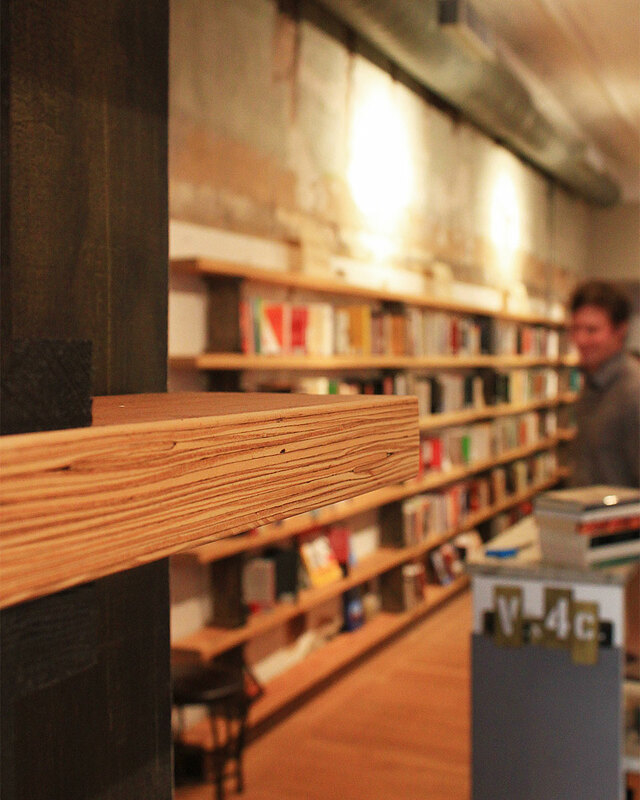 The focus of the Letters renovation upfit was to design and build custom shelving and furniture that would organize the circulation and continue to promote the reclaimed and recycled design aesthetic for the bookshop. 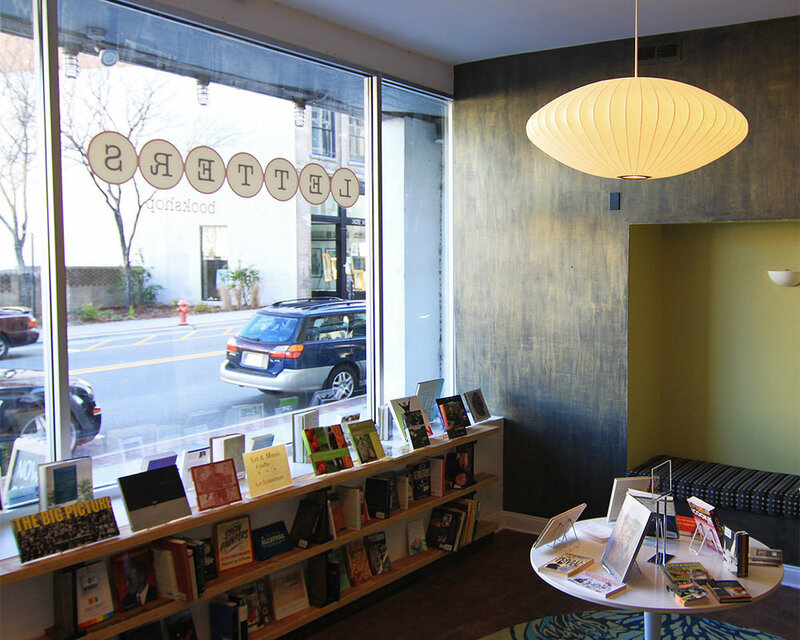 By relocating and adding detail touches to the counter, a small reading nook with a large round rug, and careful paint and wall treatments, we were able to stay on budget and time frame by making use of what was already in the space.